Here in the UK, we’re renowned for many things. And our love of gardening, flowers and anything floral is certainly one of those. So, when it comes to flower shows, exhibitions and that sort of thing, we’re pretty good at them – some of the most popular flower shows are held throughout the spring and summer in the UK, attracting some of the biggest names in horticulture. And if you’re looking for a run down on the best ones to attend in 2017, then look no further. Here, GetPotted.com bring you some of the most popular flower shows throughout the UK, how to get there and the date that they are. Whether you’re looking for inspiration for your own garden, looking to exhibit or you’re interested in horticulture, flower shows are the perfect place for you. The first flower show was held in 1862, this five-day long-standing event takes place at the Royal Hospital Chelsea in London, with each garden designed differently depending on the theme. There is an exciting line-up of garden’s each year, 2016’s highlights included multi-award winning designer Cleve West’s return for sponsor M&G Investments, with a garden that’s inspired by his memory of the ancient oak woodland on Exmoor National Park. It featured approx. 30-40 tonnes of stone, sourced from a quarry in the Forest of Dean. The garden’s at 2017’s RHS Chelsea Flower show are expected to present horticultural trends for the year from some of the best designers, including Cleve West and Sarah Eberle. But did you know that the RHS Chelsea Flower Show welcomes new and up-and-coming designers too? The Autumn flower show in Harrogate offers fantastic displays, ideas for your garden, live expert displays and everything you need to plan the perfect outdoor display that will work for you. With popular How2 demonstrations, the Harrogate Autumn show situated in the Regional Agricultural Centre at the Great Yorkshire Showground is one of the most popular flower shows in the North of England, offering fantastic displays and demonstrations for people. Another northern offering to the flower shows around the UK, the Southport Flower show offers an annual event for those looking for a really good day out. Being held from the 17th – 20th August 2017, Southport Flower Show brings something for everyone, from exhibitors to competitions for growers and more. The 136th Sandringham Flower Show is being held this year on Wednesday 26th June, offering more than just a flower show for visitors, it’s an excellent day out with family entertainment and a celebration of the horticultural world to boot. The UK’s leading horticultural specialists and nurseries exhibit, with the show attracting over 20,000 visitors each year, the show has also had the privilege and benefit to enjoy Royal patronage to attract people. Displays on offer throughout the day offer designs by leading specialists. 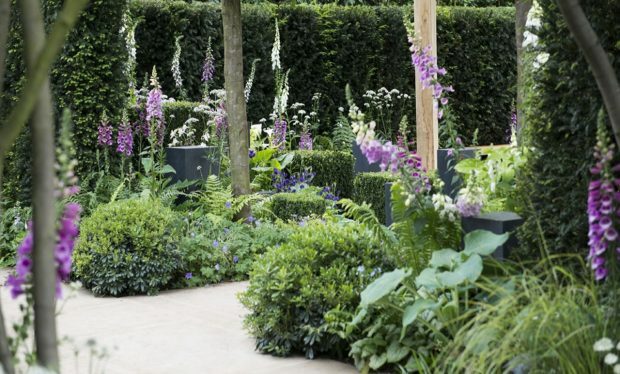 Whether you’re clued up on gardening or just a novice looking to experience something new, visiting a flower show offers a great day out for the entire family, or even as a professional to get new ideas for the year.